For many years I have counseled top candidates on their interviewing strategy. My number one recommendation has been for the candidate to get the hiring manager’s needs met during the interview before pivoting the conversation to their own needs and goals. This techniques helps insure the highest possible interest level for their background and experience. It also casts them in a comparatively favorable light over candidates who don’t employ this strategy. If done well, fully delaying gratification of their expectations until the power dynamics of the interview process shifts in their direction, they can actually eliminate some of their competition for the role. 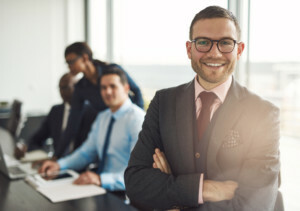 Candidates who don’t employ this technique place themselves at a competitive disadvantage by projecting what can be interpreted as a ‘me first’ attitude. Might not be true, but the impression is still there and can be damaging. Well, that will always be a good interview strategy for a candidate; it is time to offer similar recommendations to hiring managers. More specifically, even as a candidate is interviewing well during the first few minutes of the interview, recognition of the fact that he or she will also likely perform well with other potential employers is important. It seems good candidates are getting harder and harder to find. First impressions are important on both sides. If things are going well early, don’t miss a selling opportunity to insure your potential interest does not go unrequited at the end of the day! Early on in the process, share with your candidate why you made the decision to join your company and why you stay. Mention the exciting challenges, opportunities and cultural amenities your company offers. Make the candidate feel at home. If testing is required, make it as warm and friendly an experience as possible. Explain what the testing entails and why your company does it. You’d be surprised how many employers start testing before they even start interviewing. Cold stuff. If the interview process is protracted, take the time to explain what is involved and the rationale. Perhaps it is going to take a few weeks, set that timeline early and have a discussion about it. It can save you time and often goes a long way to insuring your candidate is still around when you are ready to go. With the cost of an important role going unfilled so high, it can be a draining and disrupting experience for a company to find their candidate and make a good offer only to have their candidate turn the job down or even be completely off the market when the offer goes out. It is an incredibly competitive landscape for top talent in today’s market. When you have a solid prospect in front of you, don’t miss the opportunity to do everything possible to put your company in a position to secure his/her services at the end of the day. Just as there is competition among candidates, there can be even more competition between companies for the best prospects. Get your candidates to “yes” more often…by selling them on why they should be with your company every chance you get. You’ll get better candidates over the finish line and experience fewer turndowns.